Revitalizing the best elements from the past, the G2622 Streamliner Center Block Double Cutaway bursts into the modern music era with updated sound and style. Brash and feedback-resistant, the sleek G2622 is designed for the guitarist who demand more from an instrument - more performance, more style, more power! 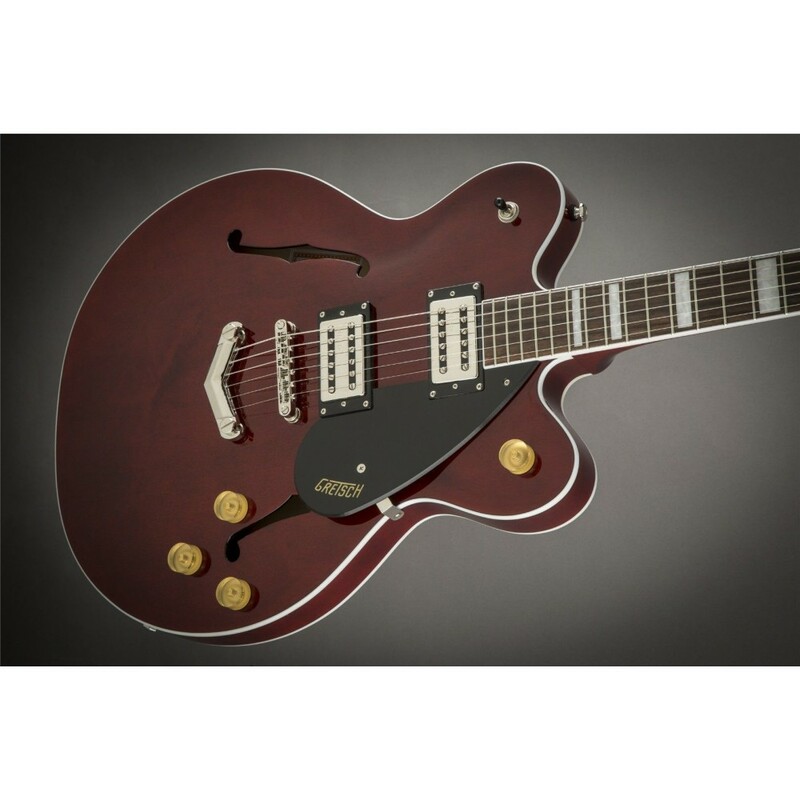 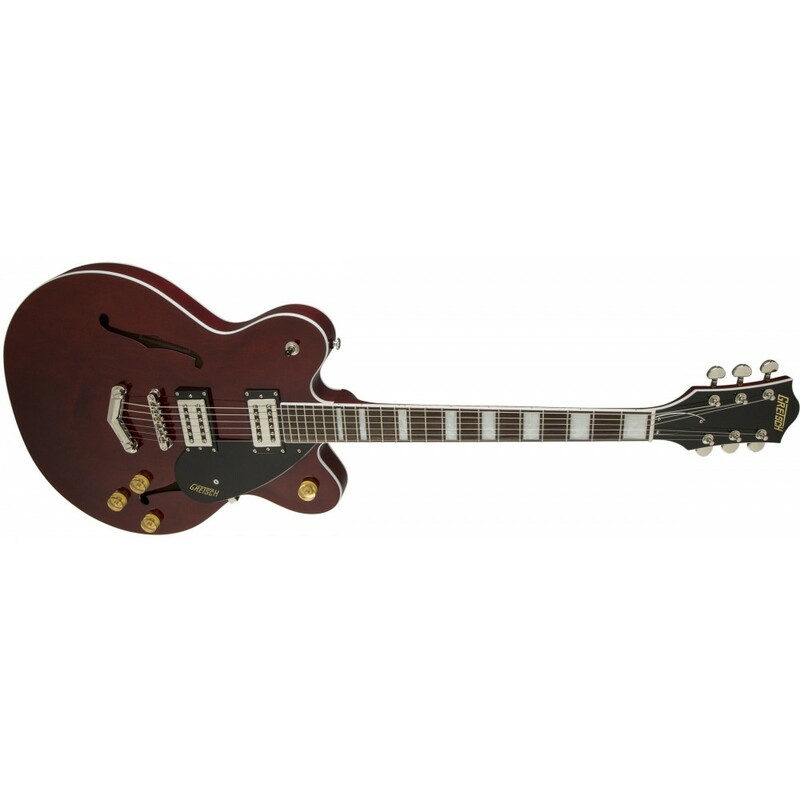 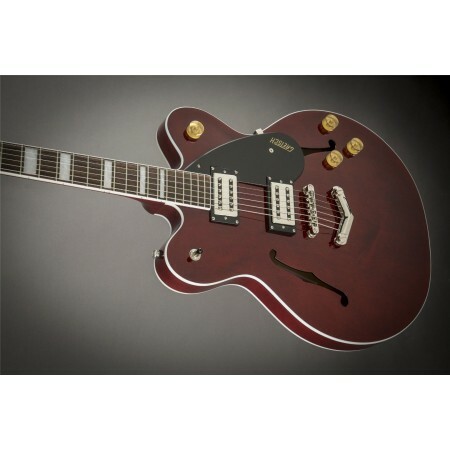 - while retaining all you expect from a Gretsch. 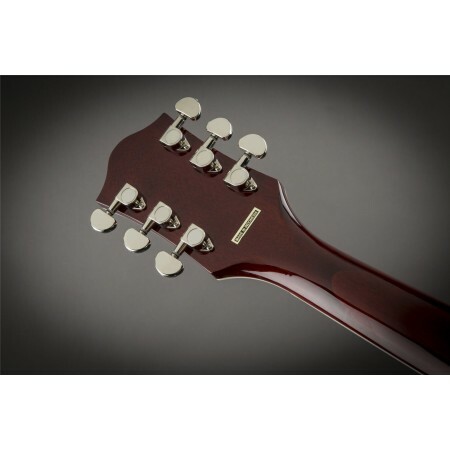 The secret to the Streamliner's sound is twofold - the Broad'Tron humbucking pickup and the spruce center block. 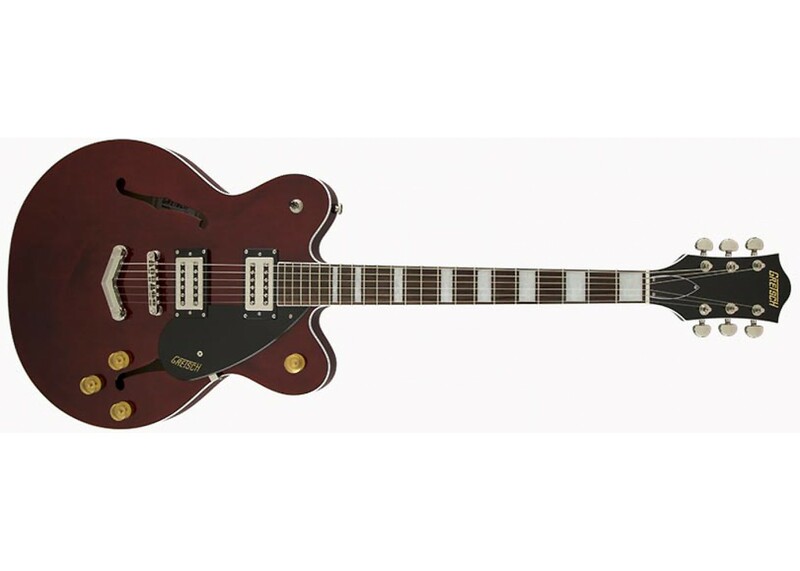 Specifically designed by the expert engineers at Gretsch for the Streamliner, the high-output Broad'Tron pickup spawns robust lows, pristine highs and a throaty midrange for a unique tone that blends well with other instruments in a band context. A lightweight spruce center block runs the length of the body, reinforcing the top while eliminating undesired feedback for volume-friendly performance on rocking stages. The Streamliner's sonic power is harnessed and shaped by the traditional control layout - neck and bridge pickup volume controls, a master tone control, master volume control and three-way pickup switching. 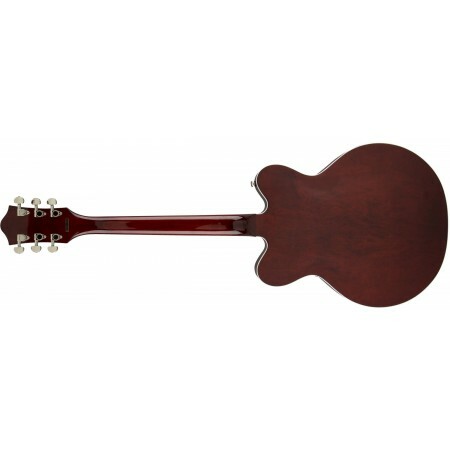 A fast-playing 12"-radius rosewood fingerboard with elegant pearloid block inlays and 22 medium jumbo frets sits atop the white-bound neck with a thin "U"-shaped profile - ideal for chord work or fiery riffing. 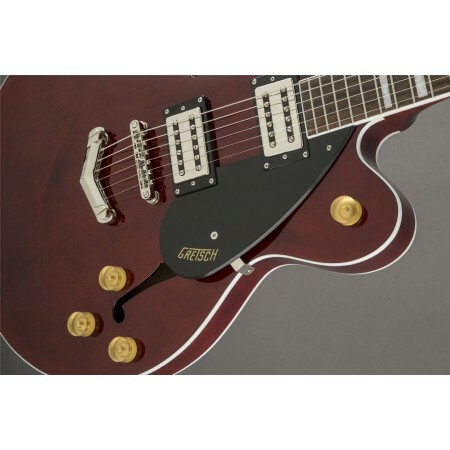 Enjoy rock-solid tuning stability courtesy of the stylish Gretsch "V" stoptail tailpiece, Adjusto-matic bridge with an anchored base and synthetic bone nut. All the classic eye-catching style you've come to expect from Gretsch is here - vintage-style gold control knobs, F Holes, elegant two-ply white and black body binding, slick-looking nickel hardware, single-ply black pickguard with Gretsch logo and arched laminated maple construction. 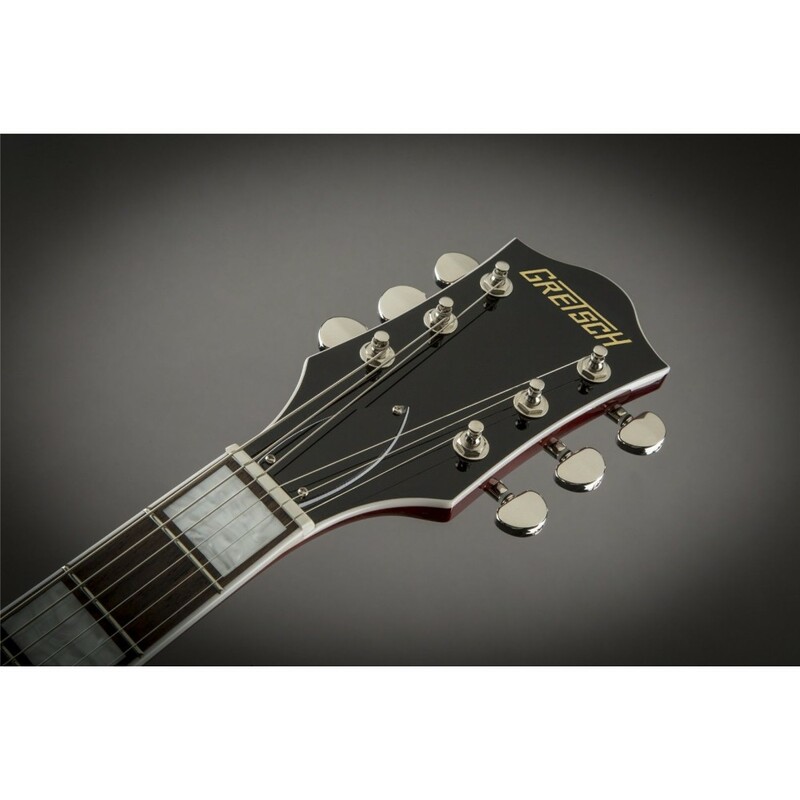 Nearly impossible to put down once you pick it up and start playing, G2622 Streamliner Center Block Double Cutaway is an updated version of the authentic sound and classic style that has earned Gretsch accolades since the dawn of rock 'n' roll. 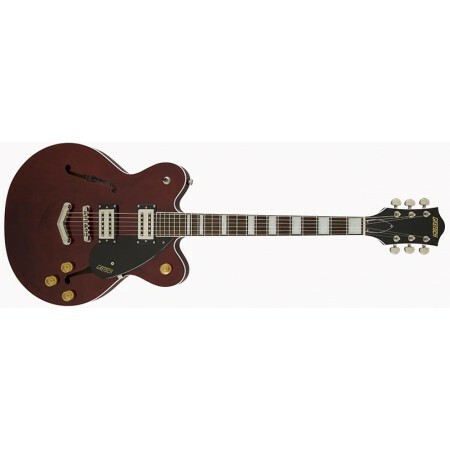 The Hot Rod DeVille 212 IV includes a pair of 12" Celestion A-Type speakers, which provide..
Fender Pro Junior IV LTD Lacquered Tweed Electric Guitar Amplifier Long-revered by play..
Fender Blues Junior IV Black Electric Guitar Amplifier One of the most-beloved small co..
Fender Hot Rod IV Deluxe Electric Guitar Amplifier An updated version of the legendary ..